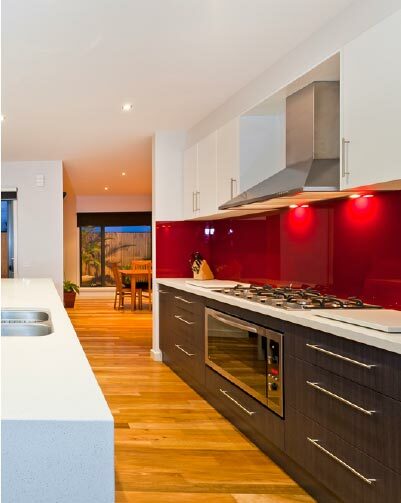 If you’re looking for local cabinet makers and joiners in the Geelong region, give Your Custom Cabinets a call. Part of our service includes arranging all the tradespeople necessary for the completion of your kitchen, bathroom, laundry, study or home office. Kitchens have never been so affordable and stress-free! Not only will our cabinet makers custom build your kitchen cabinets in our joinery, we can also organise all the necessary tradespeople to install your kitchen. We can remove the hassle of dealing with countless tradies by organising plumbers, electricians and other tradespeople that might be required. What better way to take advantage of the wonderful summers than having custom cabinets in your barbecue area or outdoor kitchen. Talk to the staff at Your Custom Cabinets and we can help you design an outdoor kitchen or barbecue area to suit your family’s needs. Custom bathroom cabinets and custom laundry cabinets really help complete those spaces in your home that get a workout! Not having enough storage in your laundry or bathroom can be a nightmare, so let our joinery experts in Geelong create and install a custom cabinet solution for you. Our cabinets are custom-made here in Geelong to suit your unique space, for your kitchen, bathroom, laundry or otherwise! Talk to us about any custom project you need completed, we’d love to help. Your Custom Cabinets also specialises in a large range of shop fittings for retail outlets that best display your merchandise and bring your business displays to life. All made by our cabinet makers in our joinery, then fitted in your retail outlet. Take the stress out of your next renovation, have it done by the professional team at Your Custom Cabinets. Did you know custom storage cabinets are perfect for studies and home offices in Geelong? Your Custom Cabinets is your local joiner and expert when it comes to storage. If you have a home office or study, we can build a desk cabinet, draws and shelving to accommodate your computer, folders, books and other stationary….